MAS.863 How to make (almost) anything. 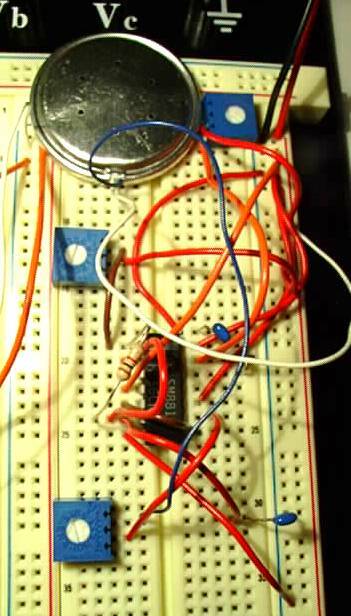 Make something that blinks or makes sound. Then, we really wanted to do something more "expressive." 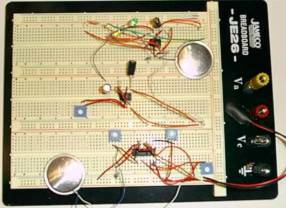 We found a schematic for a simple sound FX generator in a similar Radio Shack booklet: "Enginer's Notebook: Integrated Circuit Apllications, 1980" (pretty advanced, synthesizers at this time...) It is based on a 556 chip. 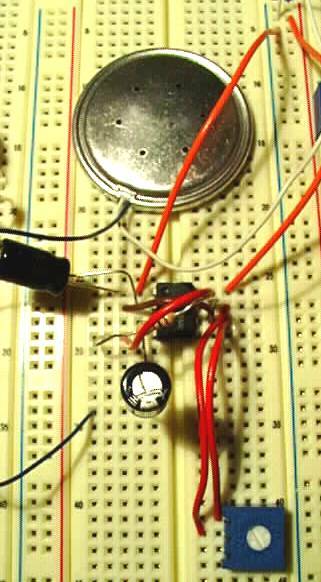 The three adjustable resistors influence the volume as well as the frequencies of the two built in timers.